There are thousands of apps to choose from in the well being space but not every app is created equal. This list includes apps that have been developed either by or in consultation with psychologists and other mental health professionals. They are all based on research that is available in peer-reviewed publications. 1 Giant Mind. Live Your Purpose. 1 Giant Mind is a meditation education program with an accompanying app that teaches you to meditate in 12 easy steps. It has guided meditation techniques and each step builds upon the next. There's a 30-day challenge created to make meditation a daily habit and if you're like me you might just fall a little bit in love with Jonni Pollard as his gentle voice guides you through the program. CALM. LIVE MINDFULLY, SLEEP BETTER, BREATHE DEEPER. Calm is the perfect combination of science and beauty wrapped around simple tools for relaxation and meditation. You get guided meditations (beginners to advanced), Sleep Stories to aid slumber, breathing programs and music designed to enhance your mood. I love its calming images and peaceful sounds - and it was awarded the Apple App of the Year for 2017! Headspace entreats you to 'treat your head right' with bite-sized themed meditations on everything from stress to sleep. It's quick, quirky and even offers SOS exercises in case of sudden meltdowns. Smiling Mind believe that looking after our mental health is just as important as our physical health, but like anything new it takes practice. The app provides simple meditations for all ages, starting with just 10 minutes a day. This is a great app for kids or anyone new to the health giving benefits of simple meditation. I love that it's produced by an Australian not-for-profit in collaboration with psychologists and health professionals. When I asked my psychologist colleagues which apps they use and recommend, Insight Timer was at the top of the list. More than just a guided meditation app, it offers music, talks and interviews with experts, audio books, groups and discussions. It also offers a series of interval timers with ambient sound for the practised meditator. I love the community feel of this app. There's an Insight Connect page that shows real time meditators across the globe. MOODKIT. COGNITIVE BEHAVIOUR THERAPY IN AN APP. MoodKit is your personal mood toolkit. It helps you to engage in mood-enhancing activities, identify and change unhealthy thinking, rate and chart mood across time, and create journal entries using templates designed to promote well-being. It's based on the principles of Cognitive Behavioural Therapy and I love that it's developed by clinical psychologists - experts in mental health. MOODMISSION. CHANGE THE WAY YOU FEEL. 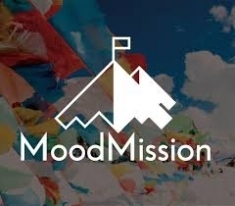 MoodMission is an app for everyone who experiences occasional low moods or anxious feelings – and that means everyone. Developed by psychologists and app developers at Monash University in Melbourne, it both looks good and works effectively to help you manage your mood. I love that it's local AND developed by psychologists excited about technology. Learning to identify and label your emotions is a critical step toward cultivating emotional intelligence. Mood Meter helps you become more mindful of how your emotions change throughout the day and how your emotions in turn affect your actions. It's quick and fun and really makes you pay attention to how you're feeling and what's contributing to that. I love it's simple, colourful design AND that it has been developed from decades of research from Yale. SuperBetter increases resilience - the ability to stay strong, motivated and optimistic even in the face of difficult obstacles. It's a game-based app that uses the psychological strengths we display when we play games to confront real-life challenges, making you more capable of getting through any tough situation. I love that you can learn more about the personal story that inspired the app in this TED Talk by creator Jane McGonigal. 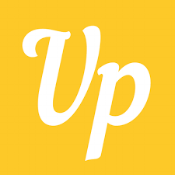 Uplifter trains you to develop a positive mindset through gratitude and positive psychology exercises. You answer some simple questions about your mood and well being and the app customises a series of simple exercises that you can undertake to help make you think and feel better. How you feel matters! Whether you're feeling sad, anxious, or stressed, Happify brings you effective tools and programs to help you take control of your feelings and thoughts. Based on the premise that small slices of time can make big changes, the Happify app is filled with engaging activities and games that can be used any time, anywhere to enhance your mood, your mindset and your emotional wellbeing. I love that it's developed by leading scientists and experts who've been studying evidence-based interventions in the fields of positive psychology, mindfulness, and cognitive behavioral therapy for decades.